Luxury brands try very hard indeed to associate themselves with heritage, provenance and traditions stretching back into the mists of time. In fact this is essential to their premium value proposition. We pay significantly more to buy into the superior quality, craftsmanship and sheer class conjured by this historical narrative. In many ways this is the antithesis of innovation, which is all about the new and the better. Which is part of what makes LVMH’s “Press for Dom Pérignon” embrace of technology to modernize a classic luxury service experience so, well, innovative. The IoT technology solution, explained in the video above, involves a connected device in the form of a sleek black button, which is placed in the Savoy’s suites, powered by EVRYTHNG’s ‘Web of Things’ cloud Engine. When a Savoy guest presses the button, a chilled bottle of Dom Pérignon is ordered and auto-magically appears within 5 minutes in your room (along with a charge of several hundred pounds magically appearing on your bill). Behind the scenes, the OpenPicus Flyport controller in the button sends a message to the EVRYTHNG Engine via cellular networks. The EVRYTHNG Engine logs the data, and converts it to a voice message, which is delivered to the Savoy’s butler. For Dom Pérignon and the Savoy, this initiative showcases the potential for Internet of Things technologies to augment and modernize premium brand experiences by connecting luxury atoms with digital bits. 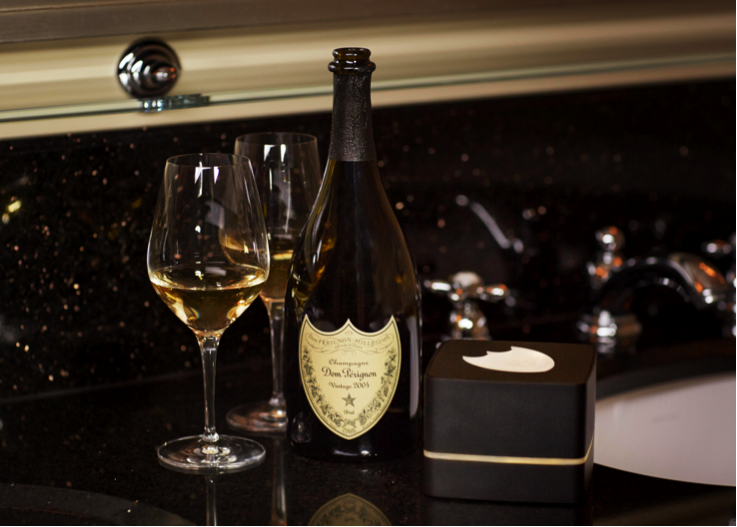 The classic experience of ordering a bottle of Dom Pérignon in a Savoy hotel room has been digitally reimagined, while preserving the classic attributes of quality, craft, heritage and tradition so essential to the premium value and experience of a luxury brand.